As Chance’s End, San Francisco-based producer Ryan Avery creates electronic music fronted by solo violin. The project was formed in 2001 to explore how acoustic violin sounds when featured prominently in places it normally isn’t. With a laid-back downtempo sound reminiscent of Groove Armada, the group is helping redefine the role of the violin in popular music. A violinist for his entire life, Ryan first studied as a classical musician before branching out into other styles such as bluegrass, blues, and jazz. Ryan began mixing violin and electronica to add a unique element to his early electronic productions, out of which Chance’s End was born. Vocalist Emily Zisman was brought on in 2010, whose experience with folk music, soul, and swing now also figure prominently in the group’s music. The duo’s very different backgrounds make electronica the perfect common ground to blend their styles and influences. Chance’s End has proven very popular with the online community, garnering the group over 30 million listens on Pandora alone. Ryan and Emily’s passion for blues and tango dancing have also made them a popular draw performing throughout the dance community. “When I first started learning to dance tango, the traditional music of Argentina appealed to my classical side,” Ryan recalls. “But it was the nuevo-tango electronic music from groups like Gotan Project and Bajofondo which showed me that the violin could feature in modern music of all styles.” The multi-genre sound of the group has been further crafted from their involvement in partnered fusion dancing, where dancers from different styles come together to explore the essence of partnered movement. The 2010’s have been very kind to the violin’s popular appeal. Though trailblazers such as Vanessa-Mae and Jean-Luc Ponty have been experimenting with violin in electronic music for decades, it is only very recently that the instrument has seen an explosion of mainstream interest via artists such as Lindsey Stirling. 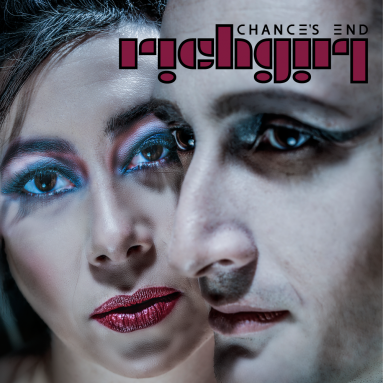 Chance’s End has experienced this renewed growth first-hand, having released albums of violin-fronted electronic music for well over 10 years. “When I first started experimenting with mixing my violin playing into electronica, I never imagined that this sort of music would achieve such mainstream popularity”. In addition to performing locally in the San Francisco Bay Area, Chance’s End performs at dance festivals throughout the US and regularly tours along the west coast. The latest EP “Silicon Wakes Up” will be released in 2019, returning to Ryan’s instrumental violin-electronica roots.